Photo by Eleanore Sunchild, published with permission at Censored News. 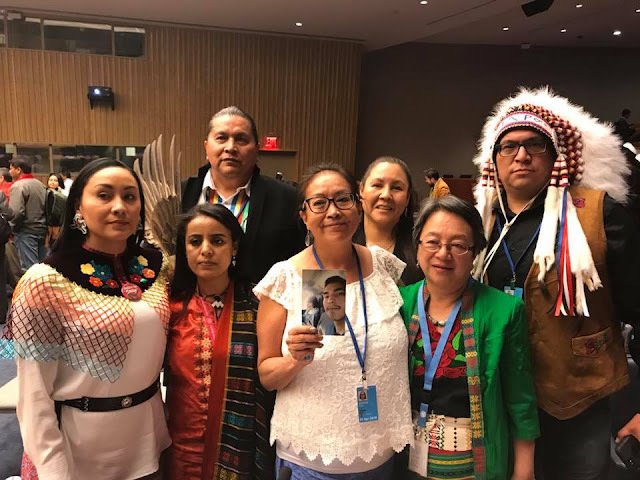 NEW YORK -- The family of Colten Boushie, 22-year-old Cree, demanded justice for Colten at the United Nations Permanent Forum on Indigenous Issues, as they described the systematic racism in Canada that resulted in the victimization of Colten even after he was murdered by a farmer. Eleanore Sunchild describes the moment, in the photo, above. "This moment was so unbelievable. The UNPFII closed the speakers because they ran out of time. It was the end of the day. Debbie stood up and held up Colten’s picture. They made an exception and let Jade speak. 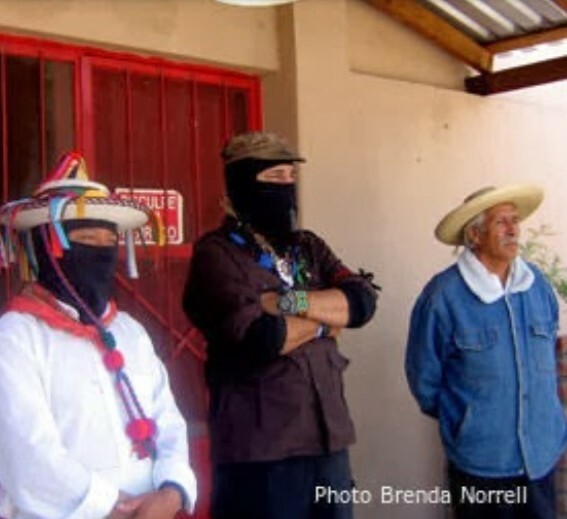 Indigenous delegates from around the world stood up in solidarity with us. After the speech, they shut down the UN proceedings and the Rapporteur and then UNPFII President came down to speak to our delegation. Everyone was crying. It was amazing. The Creator was with us. The world heard us!" CBC Canada reports, "Family members of Colten Boushie delivered a fiery call for justice at the international table Wednesday, as they called for the United Nations to undertake a study of systemic racism against Indigenous people in Canada's judicial and legal systems. In the video below, Jade Tootoosis, appeals to the United Nations, describing the systematic racism in Canada. She describes Colten as a firefighter and a kind person, who was failed by the Canadian Justice System. Jade describes how Colten was shot in the back of the head by a settler famrer. The family was treated like criminals. Justice is not equally applied to Indigenous Peoples in Canada.